Matrices are usually visualized as two-dimensional arrays of numbers while computer memory is inherently one-dimensional in the way it is addressed. 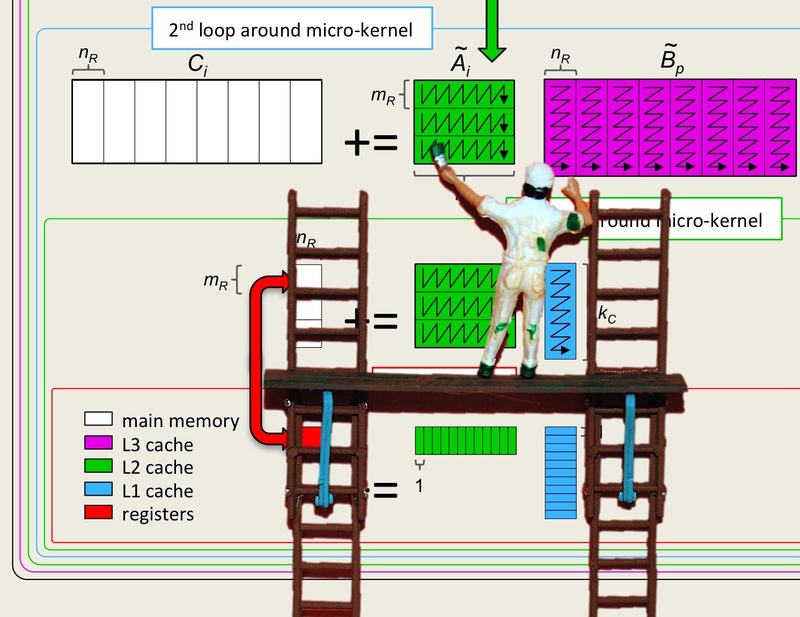 So, we need to agree on how we are going to store matrices in memory. which is known as column-major ordering. Column-major ordering would store this in array A as illustrated by Figure 1.2.1.1. Figure 1.2.1.1. Mapping of \(m \times n \) matrix \(A \) to memory with column-major order. Obviously, one could use the alternative known as row-major ordering. Let the following picture represent data stored in memory starting at address A.